Firearm Safety: A realistic approach for training and everyday defensive firearm use. An error in firearm safety could have consequences that last the rest of your life. I have made the decision to bring defensive firearms into my life and by default, into the lives of those that I love. If that tool became the source of harm of those that I love, THAT might very well be the worst case scenario. The value of my life and more importantly the value of the lives of those that I love demand that I have a realistic and practical approach to firearm safety. I would bet that you and I are not that different. In the early days of my firearm ownership I had a tendency to view firearm safety rules from one standpoint: How can I avoid hurting myself or someone else when I am at the range with my firearm. Obviously, range safety is an important topic and should not be ignored, (don’t worry we won’t ignore it) but you also need to look at firearm safety from an everyday standpoint. If you fail to do so, the results could be exactly the OPPOSITE of what you want. The gun you bought for safety could become the actual implement that harms those that you aim to protect. In the same vein, we must also consider firearm safety in the heat of a violent encounter and its aftermath. The point of self-defense is to avoid death or serious bodily harm. Harming yourself is as bad as being harmed by a viscous thug. Heck, if your buddies find out, it might be even worse. Firearm safety is clearly an issue that extends beyond the range and as a result we really need concepts and principles that ring true on the range, at home and on the street. Often times people look for rules to keep them safe. Unfortunately rules without thought and action are simply some nicely organized words. Words have no power without the conscious application of your understanding of safety. Firearm safety rules come in different forms and different levels of integrety. You can read here about some of the isues I have with traditional firearm safety rules, or you can listen to an SSA Podcast on the same topic below. help to keep the balance of risk and benefit clearly to the positive side. I think with careful thought you will see that these particular rules will also serve you well. Keep your finger someplace other than the trigger until you are ready to shoot. Keep your firearm pointed in a relatively safe direction whenever possible. Remember: You are in control of a deadly weapon. If you use it with malice or negligence you could hurt or kill yourself or someone else. Let’s take a look at each of the three rules in depth. Modern defensive firearms tools designed with safety in mind. Even defensive firearms with no external, manual safety have multiple safety devices incorporated to insure reliable operation under very specific conditions. In general terms, this means that your firearm is unlikely to fire unless you fire it. More specifically, it is very unlikely for your gun to go off unless you use your finger to press the trigger. The purpose of this rule becomes immediately clear when examined from this viewpoint. Keep your finger someplace other than the trigger until you are ready to shoot and it is very unlikely your gun will fire. If your finger is in this position it only takes fractions of a second to move your finger to the trigger and yet, it is virtually impossible to accidentally press the trigger. As a result this is the best position for our finger to be in every time we pick up a defensive firearm. When your finger is someplace other than the trigger the gun is unlikely to fire. When your firearm is pointed in a relatively save direction your firearm is unlikely to do serious damage if it does inadvertently fire. How could your gun fire? Let’s be honest it shouldn’t and if it does it’s probably because your finger was on the trigger. Our trigger finger rule and safe direction rule do a great job of supporting each other. You should avoid pointing your gun up in the air – The adage of what goes up must come down comes to mind here and the problem is where will it come down? Neither you nor I know the answer to that and as a result we should work to find another direction when possible. You should avoid pointing your gun at other innocent people – I am very careful not to tell my students “Don’t point guns at people!” Sometimes we do. Sometimes we even press the trigger when we point a gun at another human. Sometimes we press the trigger over and over again until that person stops trying to kill us. We do that and we need to be ready to do that when we need to. But, we don’t want to point the gun at people that don’t need to be shot. You should avoid pointing your gun at yourself – The consequences of pointing a firearm at yourself are pretty clear. Don’t do it. Even when you think the gun is unloaded. The list of where we should avoid pointing the gun can go on and on depending on our situation and our circumstances. It might be easier to think about where you SHOULD point the gun. Whenever possible, point the gun in a direction where if the gun were to fire you could live with the consequences. This is called the big picture rule for good reason. When considered, this rule can provide guidance to virtually all of your actions with a gun. You’ll notice that the above rules are not part of a numbered list. This is a deliberate choice. No one rule is more important than another. Instead, they work together to provide a framework for balancing the benefits and risks associated with firearms ownership. In addition to the three rules of firearm safety I teach two additional rules that help the primary rules extend to a wider variety of circumstances. The avoidance of administrative gun handling helps in two main areas. The first area is in a reduction of firearms accidents. The less you handle your defensive guns the less likely you are to make a mistake in that handling. Whenever possible keep that unnecessary handling to a minimum. Our defensive tools aren’t there for entertainment or show. Treat them as the valuable tools they are. There are times where we need to handle our firearms for loading and unloading, training, or even cleaning and maintenance. When we own firearms for defensive use, I recommend that you always remember that the primary use of your defensive tools is defensive. So when we must handle your firearms for these tasks handle them in a defensive manner. Make the deliberate decision to grip, load or otherwise handle your gun as you would do so in a spontaneous violent encounter. This can help to reduce accidents and has the added benefit of serving as free training opportunities. There are certainly times when we need our defensive firearms to be unloaded. Whether we are storing, cleaning or repairing our firearm we want to make sure that when we think a gun is unloaded it actually is. Because the consequences of an error in unloading a gun could be grave it warrants a double check. At a minimum you should verify twice that your firearm is indeed unloaded. Whenever possible, you should have two separate people verify that the firearm is unloaded before proceeding with administrative action. When I am teaching on the range I make it crystal clear that no one person has the authority to declare a firearm unloaded. Not even me. Although these rules and ideas have been around in the industry for a long time, much of the logic I use to present these ideas stem from time I spent on the range with Rob Pincus, owner of I.C.E. Training Company and the developer of the Combat Focus Shooting program. My use of the concepts and rules has certainly has gone through some refinements along the way, but the framework is similar to the way it was first presented to me. Since you are seeking an increase in your personal safety, you must always carefully consider the risks you face against the benefits you perceive you will receive from any given activity. In the end you should expect your actions to significantly outweigh the risks. Most people understand that life isn’t without risk. Driving to the supermarket has its fair share of risk yet you may find yourself driving to the Pigly Wigly several times a week. Why? Because the benefits of having breakfast, lunch and dinner (which you would be smart to have everyday) outweigh the fact that you could be involved in an accident while on your way to or from the market. Yes, you could be involved in an automobile accident on the way. The good news is that there are actions you can take to mitigate that risk. Of course you will make sure your vehicle is in good repair with solid tires and good breaks. You certainly will drive with care anticipating the actions of other drivers and be prepared for the unexpected. There is no doubt that you will wear your seatbelt. These actions all work to help and mitigate the risk of driving a vehicle, something that most of us do virtually every day. I really like the automobile comparison in this situation because it works very well (in other ways the firearm/automobile comparisons fall short, but here it is solid.) When you look realistically at the risks associated with driving you will probably come away with the same impression that I do: Driving a motor vehicle probably has a far greater set of risks associated with it that owning, training with and carrying a firearm. Why do you do something so risky? You do it for the same reason I do and we both know why: Because the benefits far outweigh the risks. So why is it that we own firearms, train with firearms and defend ourselves and other innocent people with firearms? The logical jump tells us the despite the fact that there are risks involved with firearms, the benefits of firearms SIGNIFICANTLY outweigh those risks. Not having a firearm has risk just like having a firearm. You can mitigate and control many of the risks associated with having a firearm. You do not have the luxury of controlling a violent threat. You might be asking the next important question, or have someone asking you, “How can we reduce the risks associated with owning, carrying and using a firearm to defend ourselves?” It is a good question and it needs to be answered thoroughly or you simply ARE NOT reducing the risks as you should. The good news is that if you take the time to reflect on and implement some simple protocols you will find the benefits of firearms to significantly outweigh the risks. What are some firearm safety protocols? Removing the ammunition supply is the first step of safely unloading a firearm. This is accomplished in different ways with different types of firearms. When it comes to magazine fed firearms pressing a button that is located around the trigger guard or magazine well will allow the magazine to drop free from the firearm. When it comes to revolvers, opening and emptying the cylinder removes the ammunition. Other firearms might require repeated cycling of the action to unload the firearm. If you are unsure of how you should remove ammunition from your firearm, consult your owner’s manual. After the ammunition source is removed, you should open the action of your firearm and perform an inspection. 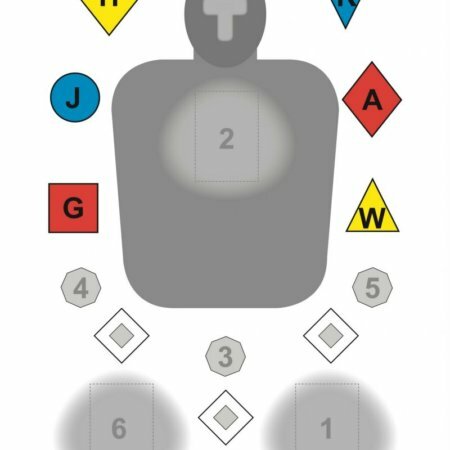 Visually and physically check the firearm to ensure that the action and the ammunition source are clear of ammunition. Remember, no one check can verify that a firearm is unloaded. Cycle the action and inspect both the ammunition source and the action a second time to ensure that the gun is unloaded. By inspecting both the ammunition source and the action twice, both visually and physically we can then safely proceed with disassembly, cleaning, repair and or maintenance. If at all possible, ask another individual to inspect the firearm to make sure that it is clear and unloaded. The extra verification will take only a few seconds to complete and could be the step that prevents you from making a costly mistake that could change your life forever. Massad Ayoob is literally an icon of the firearms industry and is known for sharing quality information regarding defensive firearm use and the legalities of the use of force. Some of the wisest words I have heard Mas utter are related to firearm safety. By making the decision to bring defensive firearms into your life you have made the conscious choice to take an active role in your own safety. As a result you will spend the rest of your life carrying, storing, staging, loading, unloading and using these important tools around the very people you wish to protect. A dedication to firearm safety is paramount and if neglected could result in the injury or death of someone that you love. I don’t believe there are more important words I could conclude with. Read the quote again and let the consequences of a mistake sink in. Get proper training and always keep the concept of safety at the forefront of your mind.